In the business world, few people command the respect that Harvey Mackay does. His book, Swim With The Sharks Without Being Eaten Alive, reached the number two position on the New Your Times best seller list immediately on publication and remained there for months. Mackay holds a B.A. from the University of Minnesota, is a graduate of the Stanford Executive program in the Graduate School of Business, Stanford University, and holds an honorary Doctor of Law Degree from Iowa Wesleyan College. He is a chairman and chief executive officer of Mackay Envelope Corporation. 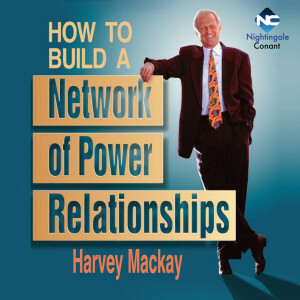 Harvey is an internationally sought-after public speaker who has addressed Fortune 500 companies and corporate leaders around the world. He has also delivered addresses at numerous educational institutions including Harvard, Stanford, and Cornell universities. Swim With The Sharks without Being Eaten Alive and Beware the Naked Man Who Offers You His Shirt are both audio cassette programs available from Nightingale-Conant. Power Networking at its' Finest!